At R&A, we curate our inventory. What we sell is only what we want to – not what we're told to. We talk to our athlete-customers around the world every day and get feedback on products. We are careful to not give into hollow industry trends. We stock and sell only the best, because that's what our customers expect. Below is a list of products we've researched, stocked, and featured, with dedicated pages highlighting technical features that elevate them above the rest. Feel free to click through to learn more about anything you see, and of course, please reach out to us if you have any further questions. SRAM Eagle XX1 AXS is the industry leading drivetrain with electronic, wireless operation - connected by a revolutionary new software platform called AXS. Colnago's bike of choice for Pro Tour riders, V2-R strikes the perfect balance between aerodynamics, handling and long ride comfort. BEAT THE UNBEATEN PATH- Continuing the momentum generated from the classic, the new U.P. was designed to be lighter than the original. Still the Jack of All Trades we all fell in love with, the new U.P. can be ridden with 700c or 650b/27.5” wheels, with slick road tires or knobby trail tires, and with drop handlebars or flat MTB bars. All as originally conceptualized by Gerard Vroomen, with the original U.P. only at a comfortable 130 grams lighter. From the mountains and valleys of the Spanish Pyrenees, Orbea has been manufacturing performance bicycles for almost 90 years. All conquering at the highest levels of cycling, Orbea bikes have been ridden to victory by World & Olympic champions in road, mountain and triathlon. From its beginnings in Italy in 1952, Pinarello has become the cycling industry’s most decorated race winner. Greats like Indurain, Wiggins and Froome have all ridden a Pinarello to victory in the Tour de France, with the brand tasting more Tour de France wins than any other. With innovative technology that allows you to switch between ventilation and aerodynamics on demand, Lazer Bullet is a high speed helmet that offers the best of both worlds. Diamante SV is the premier bicycle of a brand steeped in history and at the forefront of technology. A pro-level, aero road bike completely handcrafted in Italy, Diamante SV pushes the limit of what can be achieved on two wheels. Armed with both speed and comfort, Bond is the perfect vehicle for any road mission. E-119 is a legitimate superbike, designed for the triathlete craving more speed across the course. Extremely stiff, light and aerodynamic, E-119 ensures every last ounce of effort is transformed into power and acceleration over the tarmac. Also highly adjustable for comfort, and loaded with clever tri-specific features, E-119 is a missile in a race against the clock. The first groupset to take hydraulic technology into the realm of shifting. Rotor Uno is genuinely new. It is fundamentally different. It is performance like no other. Tacx NEO Smart Trainer pushes the boundaries of smart trainers. Unlike other trainers, Tacx NEO offers real ride quality features, connectivity to third party sources, the highest max power on the market, and flexibility for storage. Your fitness is not limited, and neither should your training. Despite ravishing the competition for the past several years with its previous-generation Teammachine – including victories in the Classics, World Championships, and the Olympics – BMC recognized ways it could make its flagship race bike even better. Introducing the 2018 Teammachine SLR01, all-new with revised construction, revised geometry, a better ride, and the option of disc brakes, as well. The BMC Speedfox as always been one of the best-kept secrets of the Swiss company. Quietly competent and confident, but never a showboat, the Speedfox has dominated trails around the world for years. The all-new 2018 Speedfox will make it difficult for the model to remain such a sleeper, however. 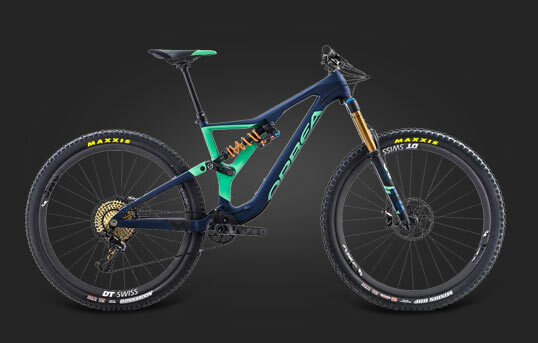 Lighter, stiffer, faster, with revised componentry and the revolutionary new Trailsync technology that integrates the functions of the seatpost dropper and suspension lockout, the new Speedfox has arrived, and you – and the whole industry – will certainly notice. The BMC Agonist is the pure result of focused engineering. BMC didn't want another "one" bike, with a handful of small compromises, engineered do most things, but nothing perfectly. Instead, the Agonist knows its role: This 110mm-travel 29er is a dream ride for XC-oriented Trail riders, superbly balancing control, efficiency, and comfort over anything from smooth singletrack to brutal technical descents. A race worthy mountain bike with the speed to keep it going all day. But where the Agonist - and you - will be happiest is simply taking in endless miles of high-speed trail. From the mountains of Switzerland, BMC – which stands simply for Bicycling Manufacturing Company – has made rounds dominating on the pavement and off in recent years. Its epically fast road bikes have seen the tops of the podiums in all the major tours and classic alike, under riders like Cadel Evans and Taylor Phinney, while BMC's family of mountain bikes, born in the Swiss Alps, offer capability and precision unlike any others on the planet. R&A is proud to be one of the world's leading BMC retailers. Having an edge over others, or over your own personal strength and goals is traditionally our objective when using a cycling computer. With Garmin’s new approach, it is about all that and some... It is also about Convenience, Safety, and Communication. Get tired of the same old ride? Hate it when you get a text message and you need to stop in order to respond? Want to communicate with your riding buddies during your ride? The Garmin Edge 1030 is the answer to these issues. Jam packed with technology, the Edge can learn new routes from other cyclist in your area, you can respond back to texts with pre-defined messages, and keep track and communicate with your riding group. The original Intense Tracer long ago went down as one of the most capable machines ever to carve a trail. Lightweight but indestructible, plush but responsive, and nimble but stable, the Tracer is coveted by a core of enthusiasts who've seen many imitators come and go. To them, and to the world of mountain biking, this is big news: the completely-redesigned 2017 Tracer has landed. Leaner, meaner, with more travel, better stiffness, and a much improved suspension platform, the new Tracer is ready to become a legend all over again. While the new Dogma F10 represents the latest, it doesn't represent Pinarello's lightest. That would be this: the bike ridden to victory by Tour de France winner Chris Froome, the remarkable Dogma F8 X-Light. 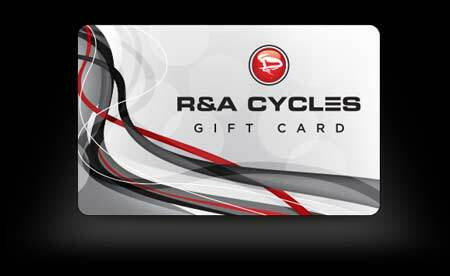 Pinarello made only 200 of them for worldwide distribution, and R&A has acquired a large number of them. Click through to learn more about what makes the X-Light the X-Light, or of course, contact us directly to custom-build your very own. It’s said that upgraded wheels are the most significant performance improvement you can make on a bike, and it’s true. Zipp’s high-performance wheelsets have long been synonymous with said upgrading, but often, their price has put them out of reach for many riders. But that changes now. Introducing the Zipp 302 carbon fiber wheelset, bestowing Zipp’s incredible performance on those with an eye on value. Deftly balancing tradition with technology, Colnago manages to maintain the loyalty of its riders by offering that unique and wonderful Colnago ride quality across its entire line-up. Until now, however, no “aero” bike existed in the Colnago family, because the ride quality possible with most aerodynamic designs wasn’t up to Ernesto Colnago’s standards. But no longer. Introducing the Concept, an aero bike finally worthy of the Colnago name. Remarkably smooth, incredibly fast, and providing that divine Colnago handling, the Concept is the ultimate performance bike that Ernesto’s fans have long awaited. The Open U.P. debuted just last year, and we immediately dubbed it “the multi-tool of bikes,” given its ability to do virtually anything you could want to do on two wheels. From trail exploration to criterium racing to long-distance adventure trekking, the U.P. is ready, all at a low weight and amazing strength. How could it get better? Well, Open found a way to improve upon it. Introducing the all-new Open U.P.P.E.R., an even lighter, faster, and more capable U.P. 680 - What is the significance of that number? It depends on context, of course. But in the context of a high performance bicycle frame, if it refers to the number of grams the frame weighs, that number becomes staggering. A full 100 grams lighter than the already-feathery Zero.7, the Wilier Zero.6’s weight is made all the more impressive when you realize that no sacrifices in performance were made to achieve such a figure. It still responds immediately, rides smoothly, and handles with precision and balance. It is a thing of beauty. Just when you think your training routine has become, well, a routine, the all-new Garmin Fenix 5 smart watches from Garmin introduce a host of intelligent features to help you take your performance to the next level. With an integrated heart rate monitor, available Wi-Fi compatibility, precise global tracking abilities, a barometric altimeter, a read-on-the-run display, integrated social and notification features, and far more, the Fenix 5 will do more than you ever thought a watch could. There are a wide variety of excellent, high-performance cycling shoes out there, but one would be hard-pressed to make any argument against SIDI as being the most famous, or quite possibly even the best. Worn by pro-tour-winning teams and individuals for decades now, including Chris Froome’s most recent overall victory in the Tour de France, Sidi simply dominates, and the company’s new Shot road shoe is their latest and greatest. Handmade in Italy of the finest materials to last for years, the Shot can be adjusted for perfect fit in multiple ways, and it comes in a wide array of colors, too. It looks different, because it is different. The all-new Zipp 454 NSW wheelset represents a seamless marriage of form and function, from the future of wheel design. 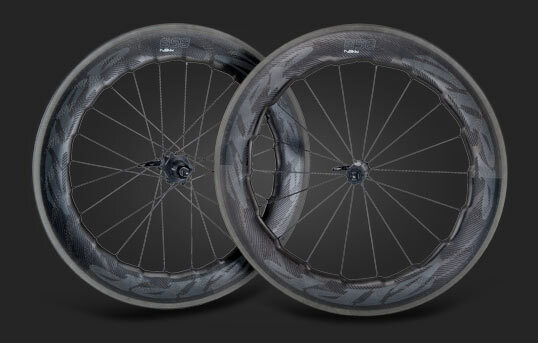 Leveraging researching in biomechanics, combined with Zipp's groundbreaking Cognition hubs, Showstopper brake tracks, and other proprietary technologies, Zipp has created a wheelset virtually unrivaled in performance and capability. PowerTap keeps getting better, and they want you to, as well. From Feb. 17-27th, bring or send R&A any brand or model or older power meterP1 and P1S pedals, G3 hubs and wheelsets, and C1 chainrings. Contact us below, call us at 718-222-6000, or stop by our store in Brooklyn, NY, for more details. It’s not just a visual statement. It’s a masterpiece of engineering that revolutionizes what you, and bicycles, are capable of. The radical, all-new Cervelo P5X is simply faster than you’d imagine, and yet it doesn’t make sacrifices of practicality, offering both a design and aerodynamics that incorporate on-board storage, and an ingenious folding design and optional dedicated travel case to make traveling from race to race far easier than you’d imagine. So, like we said, it’s not just something to stare at in wonder – it’s here to help you achieve your personal best. The Pinarello Dogma F8 was – and is – in discussions of the greatest all-around bikes the pro peloton has ever seen. At R&A, it’s been a best-seller, with universally positive reviews and “virality” among our customers. The fact that they could evolve the F8 so much farther, into the F10, is a testament to the dedication of Pinarello and its engineers. Every element of the F8 was analyzed and re-thought for further optimization, the result being a bike that preserves the coveted ride and solidity of the F8, but enhances performance in a tangible way for any rider. We’re excited to announce its arrival here at R&A, ready to ship around the world. The new GoPro HERO5 Black and HERO5 Sessions cameras have arrived at R&A, and they make fantastic gifts for virtually any athlete or adventurer. The Sessions version ($299) is compact, waterproof, and one-touch ready, while the Black version ($399) is the new king of the HERO line-up, with a touch-screen interface, high-res WDR and RAW photo capacity, and location tagging. Both are in stock and ready to ship at R&A, along with a wide variety of mounts and accessories! Mario Cipollini's firm has cranked out some extraordinarily impressive machines in the last several years, but now the all-new NK1K has arrived to assume its place on the throne. Aerodynamic, responsive, and surprisingly easy to ride thanks to its smoothness and relatively neutral geometry, the NK1K is Mario’s new favorite. It comes in disc brake or direct-mount brake versions, several color schemes, and of course, the frame is handmade and finished in Italy. Click through below to see the versions of the NK1K that are currently available for sale, or as always, contact us directly, and we’d be happy to discuss the NK1K with you and design your very own. As a species, we can't time travel just yet, but the 2018 BMC Timemachine may lead triathletes and time trialists to believe they can. Four years of relentless research, aerodynamic testing, and prototyping have landed the Swiss company at the incredible device you see here. Despite their modest public profile, De Rosa is a name of towering respect in cycling, and the Protos is their flagship model. It's the stiffest, fastest frame they've ever created, yet it doesn't ditch the elegance for which the brand is known. Those aesthetics are as fanciful as they are functional, which is why R&A loves this bike. The small Italian firm's handful of engineers individually select all of the materials that will form the tubing for each Protos, and all painting is done meticulously by hand by local Italian artisans. It's as breathtaking to behold as it is to ride. Most of the cycling world is familiar with BMC’s stellar TeamMachine road bike – the bike on which the likes of Cadel Evans and others have won nearly countless major tour and classic titles. So what happens when the technology that earns that performance is aimed at the trail? You get the 2016 BMC Teamelite 01 hardtail 29er. Don’t assume it’s just some re-proportioned Teammachine tubes, however. The Teamelite 01 is a very different beast. It’s as razor-sharp as you expect a hardtail to be, but it employs an entirely unique carbon layup schedule, as well as a 142mm rear thru-axle, internal cable routing, and BMC’s new Micro Travel Technology on the rear end to offer a ride far smoother than you expect of a hardtail without giving up any responsiveness. At R&A, we have countless customers ask us for that "one" bike that can tackle any kind of ride they want to do, from intense road racing to casual dirt road exploration. We now have a bold, confident answer: the all-new 3T Exploro. It's true, we sell a few other highly versatile machines, but none with the European flare or the competitive road edge of the Exploro, with its aero-tuned tubing, multitude of bottle and rack mounts, and incredible blend of high strength and low weight. ENVE mountain bike wheels have dominated the sport since their introduction to the market only a few short years ago, and that dominance has only solidified with their newest generation of hoops, the M-series. Available in multiple versions to suit any rider and any terrain, the M-series are all handmade in the USA, offer a wide variety of custom decal colors, and have proven repeatedly to be the strongest and fastest hoops out there, from Rampage to Sea Otter. Click through to learn more about ENVE MTB bike wheels at R&A, and the many ways they can help you rule the trails. When does a bike go from merely good, to remarkable? Some will say it's when a bike is the best at something, but we also think it can be when a bike is simply great at everything. Enter the new 2018 BMC Roadmachine. It was designed from axle-to-axle to be a bicycle of ultimate versatility on the road, and it gives up nothing to reach such a breadth of skill. The ride quality of an endurance bike, the responsiveness and control of a sprint machine, and all with seamless component and cable integration, disc brakes, and your choice of two cockpit heights. Usually, trying to be everything for everyone leads to mediocrity – but with the 2018 BMC Roadmachine revolts against the "usual". So what makes the BMC Roadmachine such a revolution? Finding the motivation to get out there can sometimes be difficult. We get that, and so does Garmin, which is where the new Edge 820 and Edge Explore 820 come in. With the Edge 820, you get a perfect marriage of advanced training features with the navigation functionality for which Garmin is known. Don't need to train? No problem. The Edge Explore 820 saves you a bit of cash, and boasts all the navigation and exploration features of the standard 820 to encourage you to get out there and see what you're missing. Click through to learn more about the new Garmin Edge 820, and see what it can do for you. If you don't know, it's time to learn: muscle compression is a growing sub field of sports medicine that has captured the attention of coaches, doctors, and athletes alike. Far from a trend, compression has tangible benefits, including supporting muscles during activities for greater response and less fatigue, and increasing blood flow both during and after your activity, making your cardiovascular system more efficient and speeding recovery. CEP is a world leader in muscle compression science, sponsoring elite triathletes like Andrew Potts and Michelle Vesterby, who benefit from CEP's years of research and product development. R&A is stocking CEP deep this season, with products to benefit you on the bike, on the run, or even while recovering at home or at the office – and we're so confident, we'll give you a full refund if you're not satisfied within 30 days of receiving them. SRAM revolutionized the world of MTB performance with the introduction if it's superb 1x11 drivetrains, starting with XX1. Now they've extracted even more capability from the same drivetrain architecture. SRAM's German-engineered Eagle 1x12 drivetrains take off where 1x11 landed, improving shifting, ergonomics, and reliability all while giving you even greater gear range for the steepest of climbs and the fastest of descents. There's already no going back once you try a 1x drivetrain – now just take the next step, with SRAM Eagle 1x12. Power meters have become indispensable as training tools, but they also haven't progressed much. Enter the Rotor 2INpower Crankset. 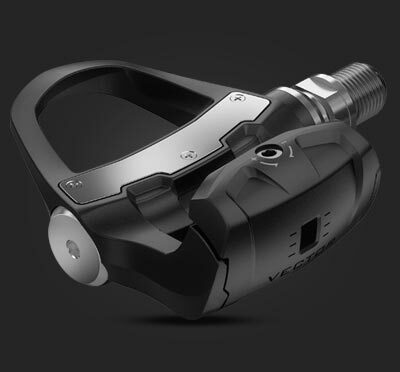 A total of eight sensors measure torque as distributed throughout the crank, and throughout the entire pedal stroke - as opposed to one or two sensors that strictly measure peak output. margin of error of less than 1%, means a more clear picture of your performance profile, and ANT+ compatibility makes it easier to see that profile, too. Because it's a Rotor crank, it's compatible with all elliptical Rotor Q-Rings. Not sure which ring size helps you perform your best? 2INpower can tell you that, and much more. What happens when an R&A favorite gets even better? You get a little faster. The Colnago C60 takes the incredible C59 and improves upon it in every way – smoother, stiffer, stronger, and lighter. Still entirely handmade in Italy, still hand-painted in Tuscany, still looking and performing unlike anything on the road, the C60 is a proper evolution of a bike that is already a masterpiece. 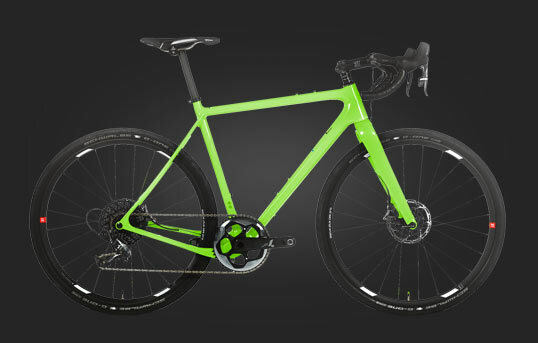 At R&A, we stock dozens of different colors and sizes of the C60, and we offer countless custom build options as well as several meticulously curated complete bikes. Whether you’re a globe-trotting triathlete or just starting to train for your first competition, R&A will have what your head needs. We stock the world’s widest variety of Tri/TT helmets. All of the helmets we sell are great for different reasons, but we’ve narrowed it down to our handful of favorites for 2016. Tri/TT helmets are designed to keep you cool, comfortable, and protected while also maximizing your aerodynamic efficiency in a tucked position. While we sell a great number of Tri/TT helmets that are all excellent in different ways, these are R&A’s overall favorites, at three different price points, to help you streamline your search. Salming has arrived at R&A, and it's not hard to see why. Hailing from Sweden since 1991, and named for one of the country's most prolific athletes – Börje "The King" Salming – the company's approach to product is unlike any other. Salming applies its motto of “No Nonsense” to everything from product development to marketing to competition, and it shows. Drawing from experience developing footwear for squash, handball, and floorball, Salming's running shoes address needs you didn't even realize you had – which is why the brand is fast catching on with athletes around the world. Click through to learn more about Salming, and why R&A has chosen to carry their products. GARMIN’S MOST ADVANCED WATCH EVER - THE FORERUNNER 735XT - You don’t cut any corners, and neither should your equipment. When it’s time to train, compete, or just get outside, the GPS-enabled Garmin Forerunner 735XT training computer has you covered in ways you didn’t even realize a watch could. Of course, it handles the basics: precise heart rate, lap, and calorie functions are nothing new. The 735XT takes several steps beyond the basics, however, with accurate satellite tracking and internal accelerometers to enable insights like road grade, auto-pausing, and even the ability to identify what type of stroke you’re practicing in the pool. Sleep monitoring, full-phase recovery monitoring, and automatic goal-setting are also onboard, giving useful insights and pushing you harder. At the end of the day – or even mid-activity – Garmin Connect enable you to share, compare, and analyze data across Garmin’s enormous athlete community, and sync everything straight to your computer automatically, as well. There’s a whole world of capability with the Garmin 735XT, and it’s here to help you explore the world of your own capabilities. Never one to play it safe, Quintana Roo’s approach to triathlon bike technology started decades ago when the company fashioned aero tri frames out titanium, which was revolutionary. The spirit set forth by those radical – and fast – machines is still alive and strong, and the latest and greatest from Quintana Roo proves it. The PRfive is an all-out superbike that offers unparalleled customizability and competes with bikes twice its price. QR’s previous top-dog, their CD0.1, is equally impressive, and now on sale at R&A, putting incredible capability and speed in the hands of athletes of any budget. Click through to learn more about the PRfive, the CD0.1, and the amazing prices we currently have on these machines. You've dreamt of it. You’ve envisioned it. You've built it, piece by piece, in your mind. It's your dream bike. It rides smoothly, handles sharply, and climbs effortlessly. All told, it's probably a lot like the 2016 Pinarello Dogma F8. Having been ridden to multiple pro-tour victories – including back-to-back Tour de France wins under Chris Froome – the F8’s pedigree trumps that of virtually all other superbikes. And it’s not just a collection of superlatives. Co-developed along with Jaguar’s Formula One team, the F8 is also one of the most aerodynamic bikes in its class. With all this going for it, and multiple versions available, as well as full customization possibility, it really is a dream machine. Contact R&A today to discuss yours. Now’s the time. If you’ve been holding off to make that wheelset upgrade, waiting for those hoops that will make a genuine difference not just in looks, but also in performance, this is what you’ve been anticipating. Zipp’s new NSW wheelset line-up takes the technology achieved by the company’s revolutionary Firecrest wheelsets, and kicks it up several notches. From siped braketracks to zero-drag graphics to magnetically actuated hubs that automatically disengage while coasting, NSW is no-holds-barred performance in the form of the sleekest and fastest wheels ever to come out of Zipp’s Indiana, USA, factory. If you’ve been waiting for that truly amazing new wheelset, your patience has now been rewarded. It's so obvious, yet so easily overlooked. Your pedaling forces aren't just up against gravity and leverage. There's drag in your drivetrain, and when you add it all up, over all those miles you ride, it's a lot of resistance you don't even realize you're facing. That's where CeramicSpeed OS Pulleys comes in. The Danish company has been refining ceramic bearing technology since 2000, when they first introduced ceramic bearings to cycling, blowing away engineers and athletes alike. Ceramic ball bearings are an obvious upgrade your drivetrain in every way: they're smoother, lighter, and last up to 60% longer than traditional steel bearings. CeramicSpeed goes the extra mile by making sure their OS Pulleys look great, too, giving you one less excuse not to make such an obvious upgrade. Order some from R&A to feel the speed you've been missing. 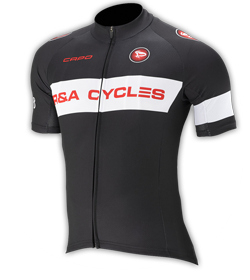 The term "ordu" means "moment" in the Basque language, native to the region in northern Spain that is home to the Orbea brand. The name is appropriate, because Orbea understands the value of time - hence, the incredible technology and performance packed into the 2016 Orbea Ordu. Designed to save you more than just a few precious seconds, the completely redesigned lines shed every gram of unnecessary aerodynamic drag while still remaining remarkably comfortable, thanks to Ordu's OMP carbon construction and a new geometry platform, which affords flexibility without compromise and full UCI legality for both triathlons and time trials. We can't but help think it looks amazing, as well. Click through to learn more about the 2016 Orbea Ordu at R&A Cycles, a machine that could very well afford you the time of your life. 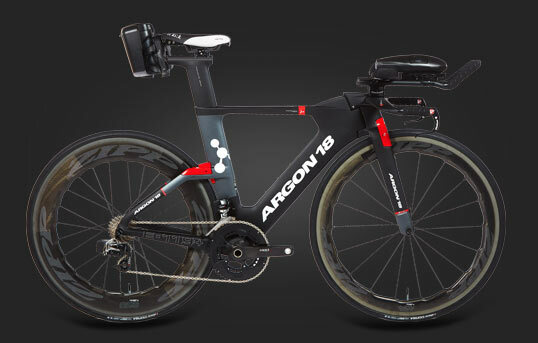 Named for the most abundant element in our atmosphere, the all-new 2016 Nitrogen Pro from Argon 18 is one with its surroundings. Aerodynamically tuned with the same thinking-outside-the-box engineering prowess that the company applies to its world-beating Triathlon/TT framesets, the road-ready Nitrogen Pro moves through the wind like no other, complete with Argon 18’s own included AHB5000 handlebar/stem combo that reduces drag by up to 30% over traditional round bar designs. Because speed happens in the turns, too, the Nitrogen Pro has still been dialed in with the geometry and handling characteristics of an aggressive road machine, as well, so it’s ready to charge for the line or dive into the corners. Wherever and whenever you need to dial up the velocity, the Nitrogen Pro is ready. What does the number 10 mean to you? In the case of Pinarello's new superbike, the K8-S, it means comfort, it means endurance, and it means a fantastic new machine. Starting with the world-class Dogma F8, the K8-S adds 10mm to the head tube and 10mm of rear suspension. Engineers then beat their weight target by an impressive 10 grams. The final result is the K8-S, a sibling to the F8 that rides smoother, is easier on your back and neck, and is astonishingly lightweight for how comfortable it is. As the pros who have ridden it can attest, it's a true game-changer. Designed, engineered, and manufactured entirely in Switzerland, the BMC Impec justifies the stereotype of obsessive Swiss quality. While prototyping the Impec, the company’s engineers set standards so high for the final product that they had to build a new manufacturing facility from the ground up. The factory, called the Impec Lab, is in Grenchen, a town famous for its world-class watch-making – and this is no coincidence. Granting BMC perfect control of the Impec’s creation, from start to finish, the facility’s result is a world-class race bike with a ride, a look, and a story unlike any other. SRAM has always been an engine of innovation in cycling, and the new eTap wireless drivetrain platform is that engine revving to the redline. eTap for road is truly and entirely wireless - no cables, junction boxes, or external batteries - while eTap for tri/TT only requires a small controller box for the shifters. Everything is self-contained, reliable, and easy to use and understand. It changes the game. Frame engineers, shop mechanics, pro racers, weekend riders - everyone can benefit from SRAM eTap. Will you? You don't need to be a pro to benefit from monitoring your power output. Pioneer Power Meters help you uncover your strengths and weaknesses on the bike - and nearly all riders are surprised by what they learn about themselves when they finally install one. From torque asymmetry, to specific power locations throughout your stroke, to your different endurance thresholds and heart rate, there's more to learn about your riding than you realized. Whether you're a dedicated racer or weekend spinner, now's the time to start riding smarter - and spending less money than before to do so. It's not all flash and dash. Yes, the Cipollini RB1000 (or RB1K) looks like a showpiece, but what you see here is the culmination of Mario Cipollini's demand for the fastest bike his engineers could make. Himself a world-class sprinter, the RB1K needed to be stiff, stable, and accurate to meet his expectations for his flagship machine. The geometry is long, low, and aggressive. The ride is relatively comfortable, but you won’t forget you're on a race bike. 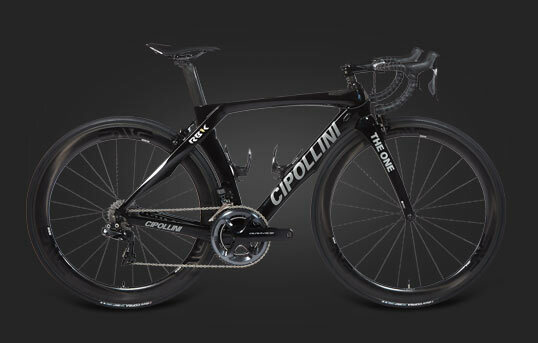 Cipollini will readily admit that it’s an extreme machine, and not for everyone. It's for those that require maximum forward velocity with minimal sacrifice - or, put another way, those that want an Italian supercar in bicycle form. The story of how the Colnago C59 was developed and how it is assembled is just as compelling as the bike's performance. Over 40 prototypes of the C59 were tested before production began. Entirely handmade in Colnago's own factory in Italy, with hand-kept records of every step of the production process for each individual frame, all C59s are then shipped to Tuscany to be hand painted by local artists. The performance of the bike is equally as impressive, too. Stellar handling, a sublime ride, and a stiff chassis make the C59 equally capable on climbs, descents, or in the sprints. It's rare that form and function reach equal heights. The thoroughly redesigned 2016 3T wheelset lineup, however, is a notable exception. Rigorously engineered with new technologies like asymmetrical rim drilling and lacing, oversized hub shells, and high-temperature, fade-resistant braking surfaces, both the Discus and Orbis II wheel families will improve any bicycle upon which they're installed - and they’ll look beautiful doing so. The Orbea Occam has been R&A's best-selling mountain bike all season, and taking a closer look at it, it's not hard to see why. Available in two different platforms – with two different geometries, travel ranges, and wheel sizes – there's an Occam for virtually any rider.